Trump asks for softer restrictions on Chinese investments and now traders are waiting for Euro-zone’s consumer confidence and economic confidence data. The support rests at 1.15050 with resistance at 1.15810 which both lines are below the weekly pivot point at 1.16150. The EMA of 10 is moving with bearish bias in the descendant channel and it is below the EMA of 200 and the EMA of 100. The RSI is moving in oversold area, the Stochastic is moving in low ranges and the MACD line is below the signal line in the negative territory. The ADX is showing sell signal. 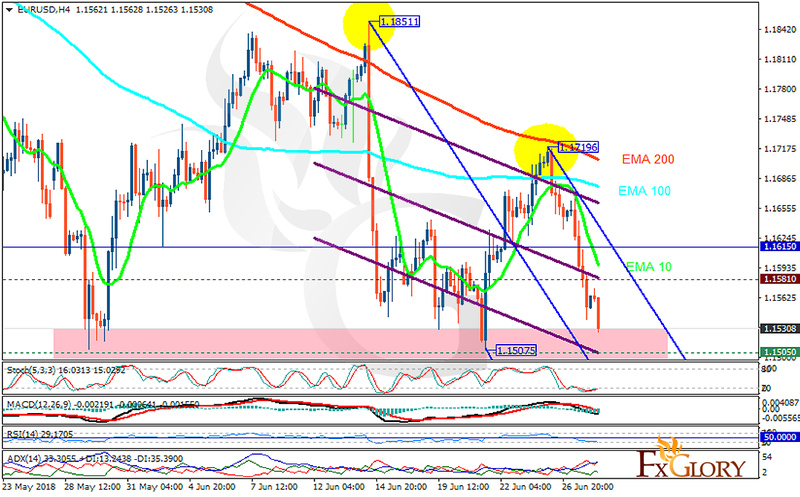 Short term traders can target 1.15 while this level has been a great support zone. Buyers can enter the market in a few hours while considering pullbacks on the way.